I walk into Sweet Peas, a little specialty food / bakery in town. 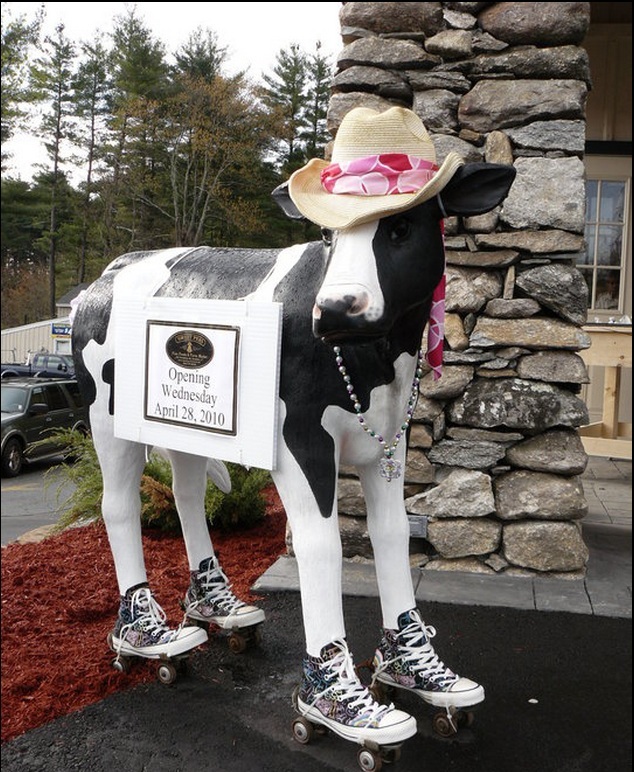 ...it's just their 3-1/2' high fiberglass cow wearing a straw hat. Rolled inside because it was raining today. My amigdala was three-quarters of the way to deciding Cujo was about to pounce on me.